Dear Adidas: More BOOST Please! 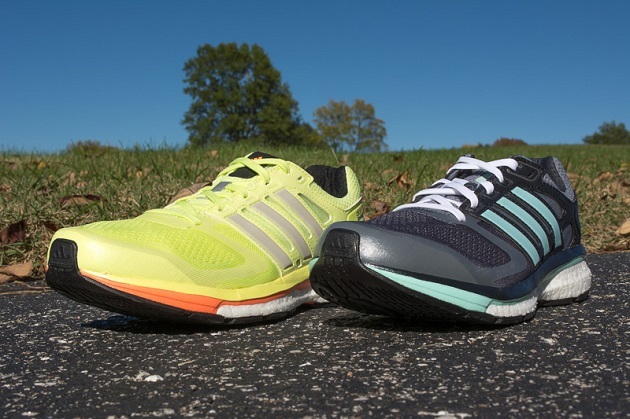 While Drew has already covered how fantastic the adidas Boost Glide is and told us about what the “Boost” technology is made out of, the rest of the crew with The Instep has been wandering around in our own pair of Boost Glides for the past few weeks so that we could all form an opinion on the shoe. For me, Drew’s glowing words ring true and they have even been a positive addition to my last few weeks as I have been recovering from some amazingly intense bouts with plantar fasciitis. 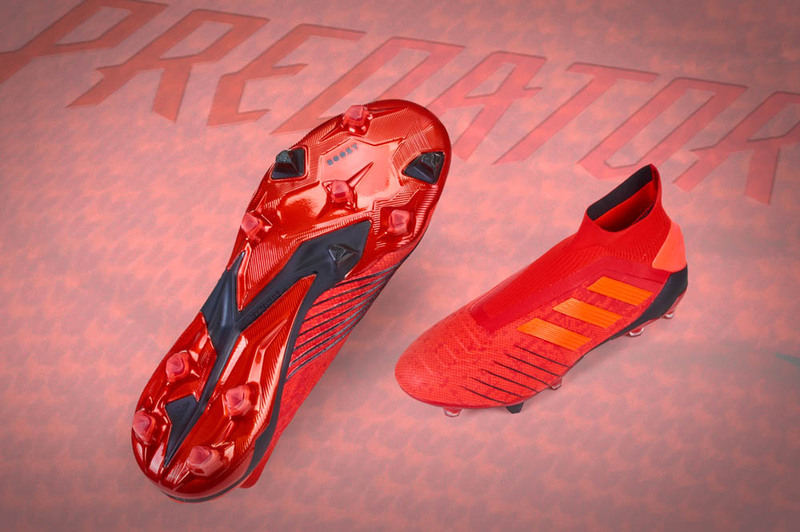 But, with everything we handle here at The Instep trickling towards soccer, we had to wonder: what would Boost technology look like if it was added to soccer equipment? 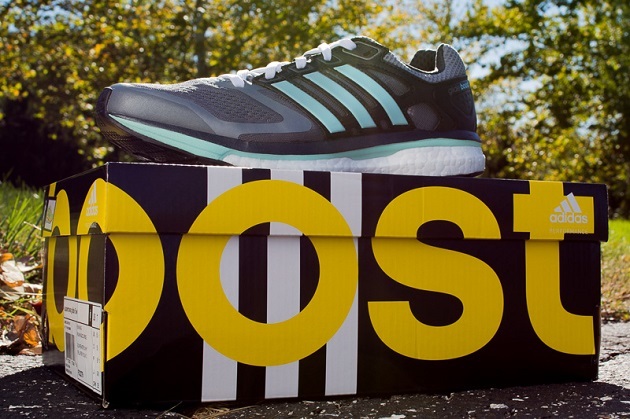 Well, much in the same way that FlyKnit had us drooling at the prospect of being used in soccer, Boost technology has given us such a positive experience with the tennis shoes that we would love to see its application in the world’s game. However, unlike FlyKnit, the use of Boost seems a bit hazier and cannot simply be shifted immediately onto boots that already have success in the market. 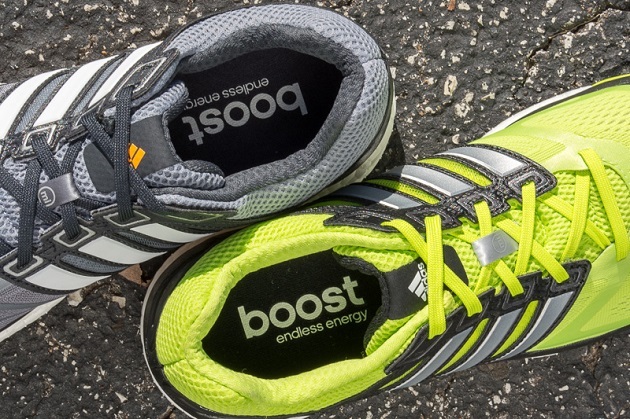 So, how does Boost get its “footy” on? Our initial thought is that it would be better suited for adidas and their indoor/turf range. Considering how long Nike has dwarfed the three stripes in terms of the short-sided equipment, this type of move would suggest that adidas is no longer content to allow the Swoosh to own 5-a-sides. 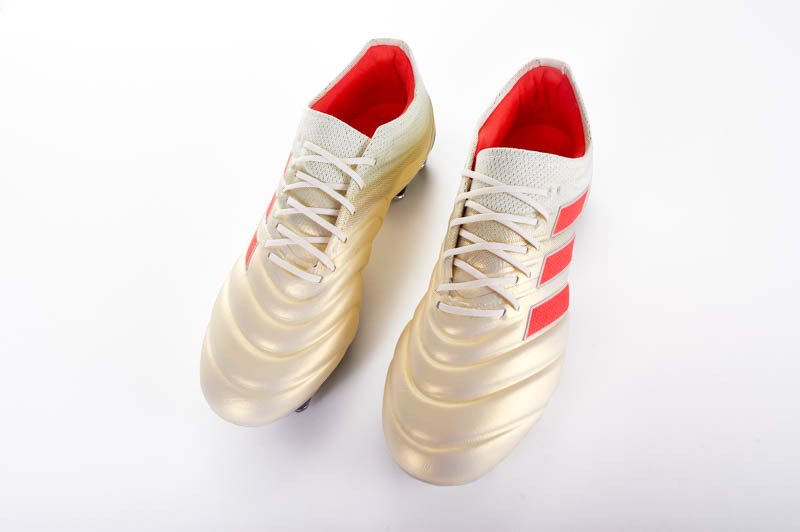 Boost tech would easily slip onto the indoor style boots from adidas, leaving them to only contemplate what type of upper to use in order to create a winning indoor boot. Perhaps this would be the opportunity for them to shift PrimeKnit onto a standard (non-limited) release? In terms of placing Boost on anything that has studs, it seems a little more difficult. 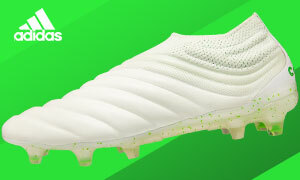 Much like Lunarlon with Nike, there is a thickness involved that would change how low a boot was able to sit and make an awkward profile (which is why it is much easier to see it used with indoor). Still, Nike has made shoes that actually placed Lunarlon as part of the insert (Nike HyperFeel)…could adidas attempt to make an insole similar to the HyperFeel and Under Armour’s 4D insoles that could include some of the Boost tech? 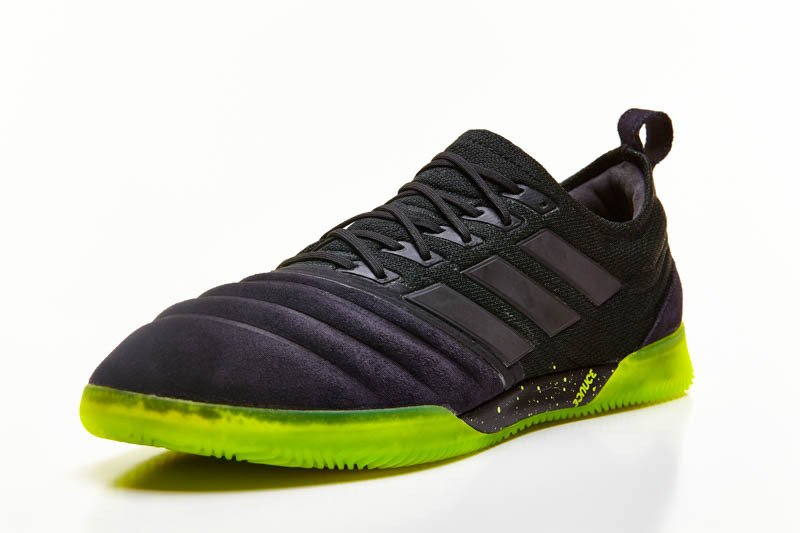 While most of this is speculation (outside of Boost technology being amazing), we always love when brands take their most innovative products from the shoe world and shift it over to soccer. Once again, Nike’s move with FlyKnit has been one of the most heralded moves in the history of soccer gear…can adidas attempt to shift the focus back to their products? Boost may not be as “glamorous” as FlyKnit, the quality we have experienced with the Boost Glide has us thinking that adding the Boost tech to any and all products would probably not be a bad thing. What are your thoughts? Has there ever been any tech from an equipment company that you wished they would use on their soccer equipment? Would you wear any soccer gear that included boost? Why? Why not?